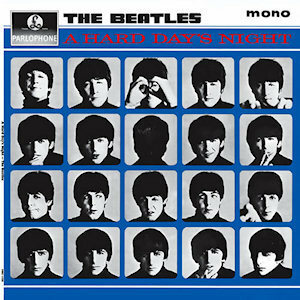 A Hard Day's Night is the third UK album by The Beatles, released on 10 July 1964 as the soundtrack to their first film of the same name on Parlophone in mono (catalogue number PMC 1230) and stereo (PCS 3058.) The album, their fourth U.S. release, was released on 26 June 1964 by United Artists Records with a different tracklisting. This is the first album in which all tracks credited to John Lennon and Paul McCartney. 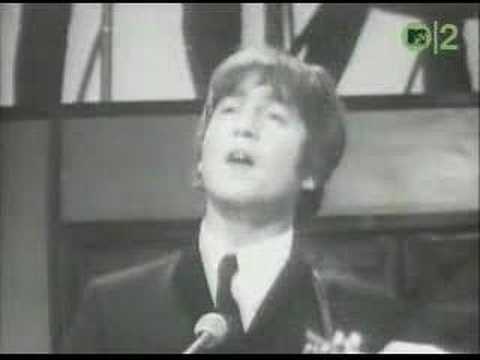 Normally, Paul McCartney and Lennon would contribute a roughly equal number of songs to each album, but A Hard Day's Night is the one Beatles album on which Lennon's dominance as songwriter is by far the greater -- writing the majority of the 13 tracks on the album on his own. This is also one of two British Beatles albums, along with Let It Be, in which Starr does not sing lead vocal on any songs (although Starr sang the lead vocal on "Matchbox," a cover of a Carl Perkins song recorded contemporaneously with the songs on A Hard Day's Night and released in Britain on the Long Tall Sally EP).